Sebastiano de Corato founded the Azienda Vinicola Rivera in the late 1940s. He saw enormous viticulture potential in Puglia’s Castel Del Monte region and wanted to bring these wines to the attention of the rest of Italy and abroad. Today, the estate is still proudly operated by members of the de Corato family. This is a blend of 90% Negroamaro and 10% Malvasia Nera. The wine is vinified in stainless steel in order to bring out its freshness and rests for 3-4 months in one year old oak which contributes to its structure. It is deep purple in the glass with a nose of dried plum and morello cherres. 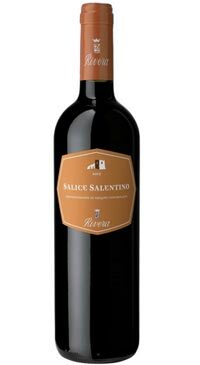 The palate is generous and well structured and the finish exhibits a pleasant bitter note typical of the Negroamaro.